Jennifer Lawrence was once sick in front of Miley Cyrus. The Oscar winning actress was at a post Oscars celebration thrown by Madonna's manager in Hollywood in March, where she ended up vomiting, while Miley - a seasoned veteran of hard partying - looked on. “I've never gone out after Golden Globes or Oscars or anything. I'm just so sick of people by that point. I'm like, 'Ugh, god!' But this time I was like, 'I'm going out.' And I puked. There's this big fancy party, this Guy Oseary and Madonna party - if you get invited, you're like, you know, super-important. And I puked, on his porch. I was in such bad condition, and I look behind me while I'm puking, and Miley Cyrus is there like, 'Get it together,'” she told talk show host Seth Meyers. The 65-year-old rocker - who briefly relapsed in 2012 after seven years sober - was seen shopping with a bodyguard on Tuesday at the My 12 Step Store in West Hollywood, California on Tuesday, and picked up “a few” books on recovery. “Ozzy was in a really great mood. He bought some sobriety literature and said his recovery is going really well,” a source said. 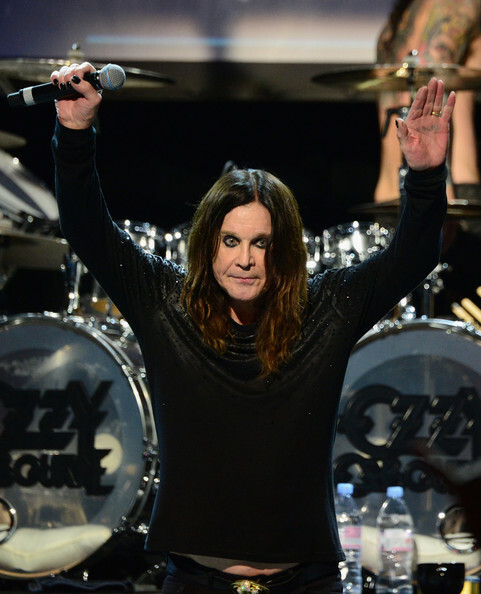 Ozzy's wife Sharon - who briefly separated from her spouse when she learned of his relapse - has previously admitted she didn't realize the “extent” of his problem but vowed to put his struggles behind them. “Everybody knows he's been struggling with this his entire life and I never knew that he was using prescription drugs. I knew he was drinking occasionally, but I didn't realize to the extent. It's a disease that not only hurts the person that has the disease but it hurts the family. It hurts people that love you and we're dealing with it. We've dealt with worse and we will deal with it and this too shall pass. Otherwise my husband will be taken to the hospital to get my foot removed from his a**,” she has said. Jennifer Lawrence worries fans will “get sick” of her. The 23-year-old actress has been a big screen success in recent years thanks to roles in the Hunger Games and X-Men franchises, but knows she won't stay popular forever. “Nobody can stay beloved forever. People are going to get sick of me,” she said. Jennifer - who is dating Nicholas Hoult - is trying to curb her behaviour as she is tired of her antics always being turned into amusing internet clips. “It's something I always tell myself, 'You need to calm the f**k down. You don't want to constantly be a GIF,'” she told Marie Claire. Justin Theroux wants a non-alcoholic wedding. The Hollywood hunk reportedly wants his fiancee Jennifer Aniston to cut down on her alcohol consumption, since she's able to “easily” down a “bottle of wine,” and has even suggested an alcohol-free wedding but the former Friends actress isn't keen on the idea. “Jen is totally capable of quitting and has never gotten into trouble with her love of vino but Justin doesn't like how she'll easily down a bottle of wine a night without batting an eyelid He really wants her to quit and has been pushing for a non-alcoholic wedding - an idea that was met with great laughter by Jen and her girl crew,” a source said. Zac Efron feels a “weight” has been lifted after he spoke out about his battle with drugs and alcohol last month. The 26-year-old hunk, who sought treatment for addiction twice last year, is glad he opened up about his personal struggles because it was a relief to lift the lid on his secret. “It was a weight off my chest. It was great. It was a fantastic time. It was a rough year,” he told the Today show. Meanwhile, Zac admitted last month he felt humiliated when his “mistakes” were made public. “I was drinking a lot, way too much. It's never one specific thing. I mean, you're in your twenties, single, going through life in Hollywood, you know? Everything is thrown at you. I wouldn't take anything back; I needed to learn everything I did. But it was an interesting journey, to say the least,” he previously said. Lindsay Lohan's mother has been ordered to perform 100 hours of community service. 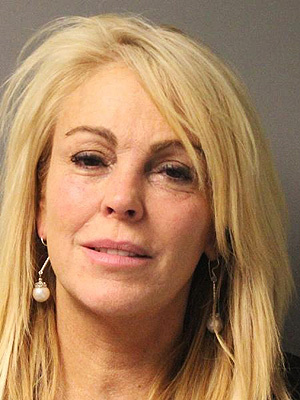 Dina Lohan pled guilty in court in Long Island, New York on Tuesday morning to Driving While Intoxicated (DWI) and speeding last September. Along with her community service, Dina must attend a mandatory drinking and driving program, a victim impact panel, and pay the necessary fines and fees. The 51 year old is also expected to have her license revoked and an interlock device will be installed in her car, according to gossip website TMZ.com. The Lindsay star was initially arrested for driving at “a speed of 77 mph in a 55mph zone” and police then discovered her blood alcohol level was twice the legal limit. Shortly afterwards, her lawyer Mark Heller attempted to blame the paparazzi for the incident. “It is the professional opinion, as stated here by the evaluator, that the circumstances leading to Dina's arrest were largely impacted by ongoing daily stresses caused by you folks, the paparazzi, media attention and distorted tabloid character profiles,” he said. Justin Bieber is close to reaching a plea deal in his driving under the influence (DUI) case. The “Boyfriend” hitmaker was arrested in Miami in January and charged with DUI, resisting arrest and possessing an invalid driver's license, but all three charges will be dropped if he pleads no contest to reckless driving, TMZ reports. It was previously claimed the 20-year-old star - who will receive a year's probation as part of the agreement - would refuse a plea deal if it involved being subjected to random drug testing, but the proposal from prosecutors does not include this as a condition. Justin was driving a rented yellow Lamborghini when police stopped him for allegedly drag racing. Toxicology test results later showed the singer had traces of marijuana and Xanax in his system at the time of the arrest. Chris Pine has pleaded guilty to drink driving. The Star Trek actor was fined $93 and had his driver's license suspended for six months during a court hearing at the Ashburton district court in New Zealand today. Chris' lawyer, Marilyn Gilchrist, had applied for the star to be discharged without conviction after claiming he had already suffered emotionally and professionally because of the worldwide negative coverage of his crime. The judge, Joanna Maze, said she accepted Chris was “entirely remorseful” of his actions as he had pleaded guilty to the charge at the earliest opportunity and had complied with the police. The 33-year-old star was stopped by officers in a “routine operation” in Methven, Canterbury, New Zealand, on March 1 and was arrested after tests revealed his blood-alcohol level was 0.11 per cent, which is over New Zealand's legal limit of 0.08 per cent. Chris was in the country filming Z for Zachariah and had been out celebrating the end of the shoot, the night before he was arrested. Justin Bieber has been offered a plea deal from the Florida State Attorney. The 19-year-old star, who is scheduled to appear in court in Miami on March 3 after being charged with driving under the influence (DUI), driving with an expired license and resisting arrest last month, will have most of the charges dropped if he agrees to plead no contest to reckless driving and submits to random drug testing for up to nine months to avoid facing a stint in jail. A law enforcement source told gossip website TMZ.com that prosecutors will drop the DUI and resisting arrest charges if the “Baby” hitmaker also completes 40 hours of community service, attends an alcohol education course and a “victim impact panel” to hear relatives of DUI victims share their stories. Justin Bieber to Be Charged for Felony? Police officers want Justin Bieber to face felony charges for throwing eggs at his neighbor's house. The Los Angeles County Sheriff's Department passed the case on to the L.A. County District Attorney (D.A.) on Thursday and strongly recommended that the “Baby” hitmaker be punished to the fullest extent of the law for allegedly causing $20,000 in damage to his neighbor's house in Calabasas, California last month. “I went to the D.A. 's office today with the paperwork, and I want a felony. 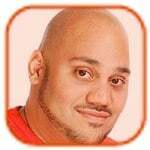 Of course I want a felony,” Lt. Dave Thompson told gossip website TMZ.com. The D.A. is expected to make a decision on the case, which was originally filed as a misdemeanor but could become a felony due to the extent of the damage, in approximately one week. Click to continue reading Justin Bieber to Be Charged for Felony? Gallery: Justin Bieber to Be Charged for Felony?